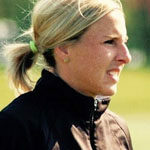 Meghan Portka, a 2005 graduate of Canisius College, was most recently the Assistant Varsity Coach at Hamburg High School. Before joining the staff at Hamburg, Meghan was the Assistant Varsity Coach at Frontier High School from 2006-2013, where she coached her teams to the 2012 and 2013 Class A Section VI Runner-Up finish and to the 2011 Section VI Class A Championship. During that time, Meghan coached numerous All-Western New York honorees as well as one All-American selection. For the past five years Meghan has also served as the head coach for the Western New York/Rochester Team for the US Lacrosse Women’s Division National Tournament.